Nominet has written this great guide with tips to increase traffic to your website. We thought we’d pass it on to you for inspiration. So you’ve got your new web site up and running. How do you get maximum exposure for it and ensure that you get a constant flow of traffic to it? There are a number of fairly simple things you can do that will make a big difference to the amount of visitors you will get. Here are some great tips to help you get the most visitors possible and increase traffic to your website. If you are launching a new web site or some significant new content for your site, write an introduction about it and submit it to share web sites such as Digg, Reddit. Pick a name that will grab the interest of your target audience and enable them to instantly understand the aim of your web site. Try and keep your domain name short – two to three words maximum. Avoid complex or hard to spell words, as people will struggle to type them correctly and remember them. Try to avoid a hyphenated domain name, as it will make the name hard to pass on verbally (e.g. on the telephone). However, as there are approximately 120-130 million domain names registered worldwide, it may be useful to have a shortlist of alternatives in case the name you ideally want is already registered. You can check the availability of any domain names ending in .uk using the WHOIS search facility on our web site sister https://www.umbrella-host.co.uk/domain-names/. The type of traffic you want to attract to your web site will also have a bearing on your choice of domain name, as well as influencing how you decide to publicise the site, and the features and content you include. Each of these audiences will benefit from a different approach. The key to building a group of regular readers is to keep the content on the site fresh and update it regularly. Adding features such as a forum, or comments section will enable your audience to interact with you and others who share your interests, which can help keep the impetus going. You can attract readers from search engines by using keywords. Search engines use keywords within domain names to rank web sites. If you choose a domain name that contains generic keywords (like mobile, music blog, gamer) you could achieve a high ranking. 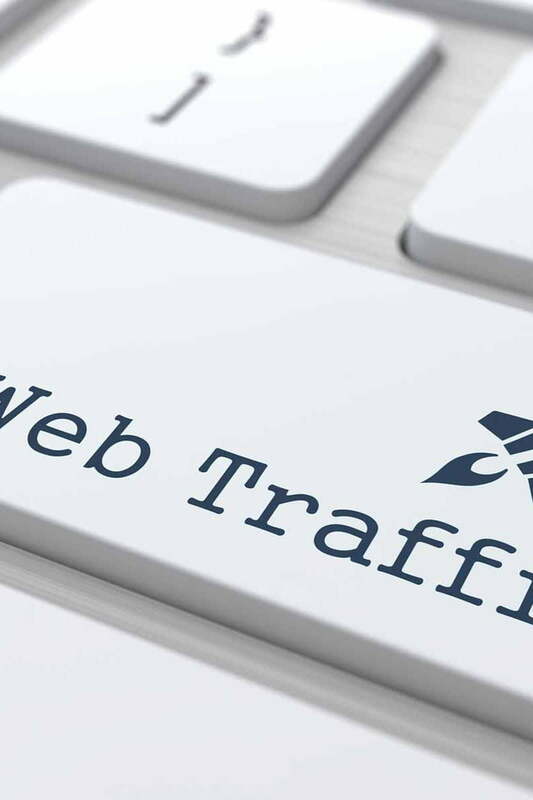 If your web site contains advertising this kind of traffic can be valuable, as visitors who come via search engines are more likely to click on ads than regular readers. You can also attract readers who follow links from other sites. If your site is a blog you could benefit from links from one of the larger blogs such as Slashdot. This can result in large amounts of traffic and although these visitors are less likely to click on ads if they decide to post links to your site on their own blogs this can help with your search engine optimisation. If you are not able to use keywords in your domain name you can still use search engines to promote your web site to a larger audience. Most of the search engines and directories allow you to register your web site for free. You can also take advantage of free banner advertising on various link exchange networks. If you belong to a social networking site such as MySpace or Facebook, or you are a member of a network such as a Yahoo Group, make sure that you post a link to your web site on your page, and post messages every time you update the web site or add a new feature. It’s free advertising that could reach a much larger audience than you think. You can make money from your web site by placing adverts on your home page that generate revenue when visitors click on them. Google Adsense adverts are pay per click and can generate decent revenue. You could also sign up for an account with Text Link ads, who will sell small text ads on your site and split the revenue with you 50-50. You can also take advantage of free access to various affiliate networks such as Amazon and LinkShare. You can also make extra revenue by adding a donation button – if your site is giving people genuine value they may well be prepared to give a donation. The key to any successful personal web site is to generate traffic. In order to keep attracting visitors to your site, you must spend time developing it and updating it regularly. Add new content as often as possible, and carry out regular reviews of your layout and design. Keep your eye out for new features you can add to improve usability and if you are monetizing your web site, experiment with different revenue streams. In addition to your web site you can use your domain name for your email address. If you have an existing personal email account (e.g. hotmail) you can keep this, but use the domain name to forward your email. We hope that you’ve found this guide, how to increase traffic to your website, as useful as we have and that it inspires you to build on your new and existing website. For low cost domain name solutions and to see whether your domain name is available go to Umbrella Host and do a search!